A prominent Sh*tposter's goal of online anonymity was spectacularly foiled by Donald Trump on Monday. Simon Bravery, who was beloved by Trump supporters for creating parodies and memes involving the President, had previously disappeared from the face of the internet in order to make a fresh start. He had garnered a large following on Reddit among the US leader's online following that when he vanished, it was noticed. Now, however, he has been found - by none other than Donald Trump himself. Apparently, this was by design, because the account is linked to his personal website. 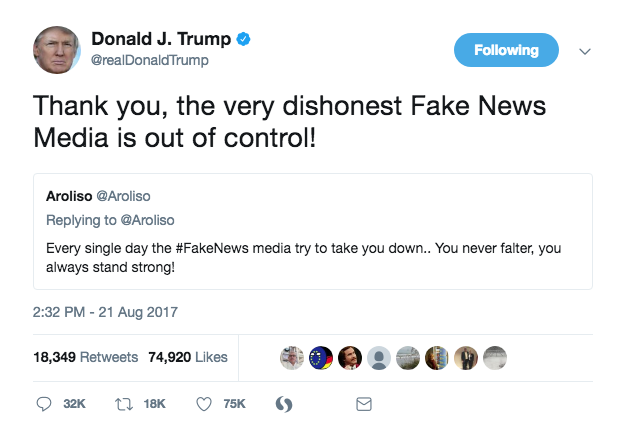 Donald Trump has continually blasted the media for "fake news" during his presidency and during his campaign. But we're not sure his new-found friend will appreciate his endorsement.